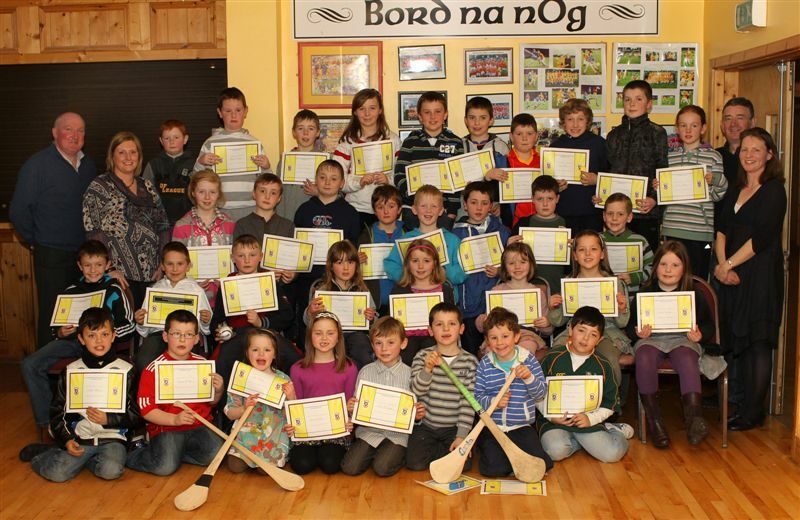 Juvenile presentation night took place in Sportlann last Sunday evening week in front of a packed hall. 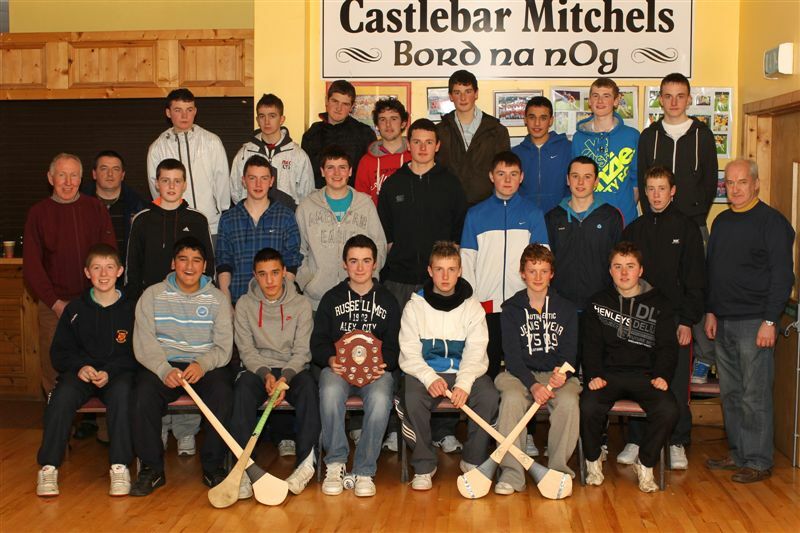 Our winning county final teams at U13 U16B and U18 teams were all presented with their county medals. Chairman Gerry Lane thanked all the coaches for the hard work put in for 2010 and wished everyone well for the coming season. Special mention was made of our U8, U10 and U12 panels who were all presented with their certificates. Our former chairman Fr Michael Murphy was present and Gerry Lane made a presentation to Fr Michael of a painting of the Mall. 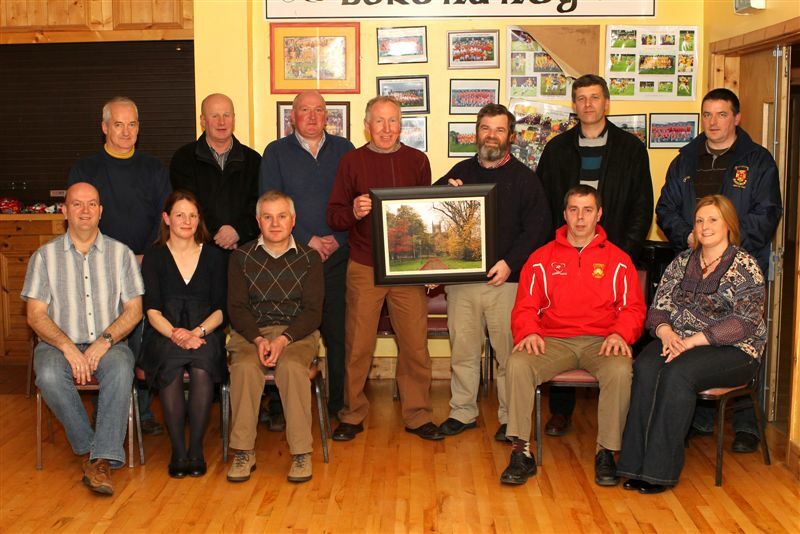 Fr Michael who was the driving force behind hurling in Castlebar wished the club well and said he would put this painting in pride of place in his house and it would remind him of hurling on the green. 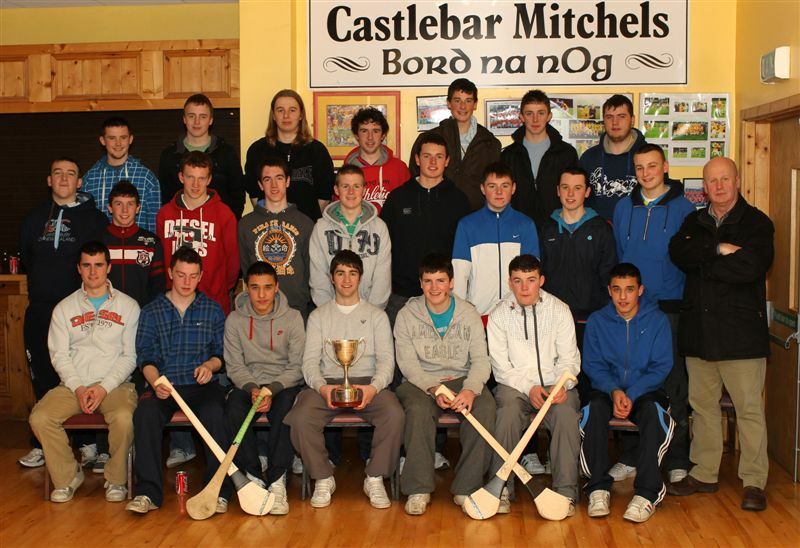 A raffle was held for all ages with hurleys, sliotairs and grips given away to the luck winners. Afterwards tea and coffee and biscuits for the adults and loads of treats for the younger ones brought another presentation night to a close. Our thanks to Tony Reilly and his staff in the Sportlann for hosting the night. U8 and U10 with coaches Padraic Felle Miriam Page Christy Burke and Mary Kennedy. 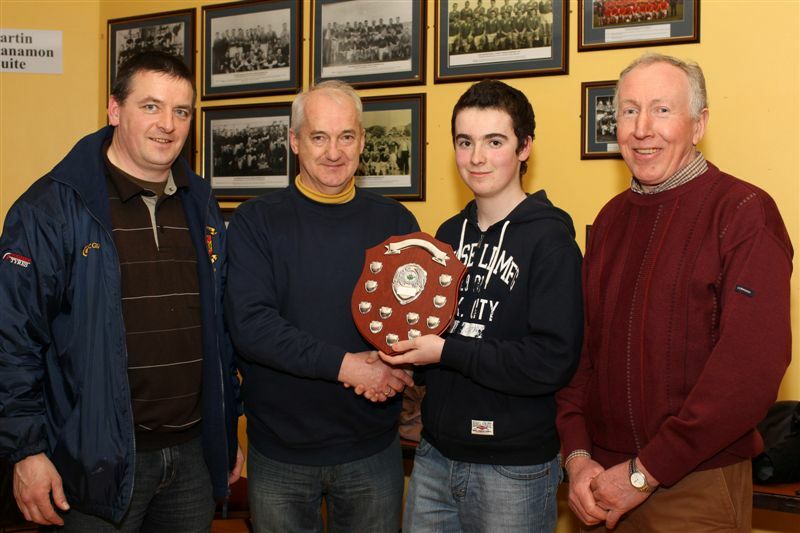 Liam Howley U16 B captain with Gerry Lane Paddy O'Brien and John Kennedy. 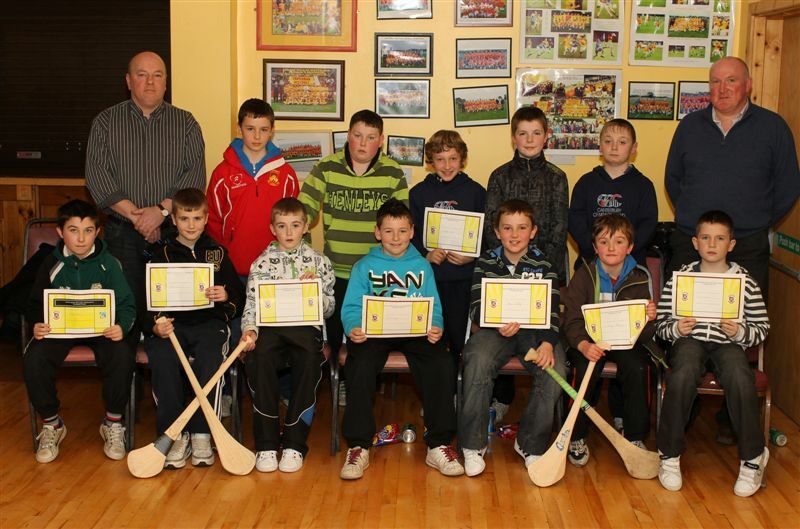 U12 team with coaches Padraic Felle and Liam White. 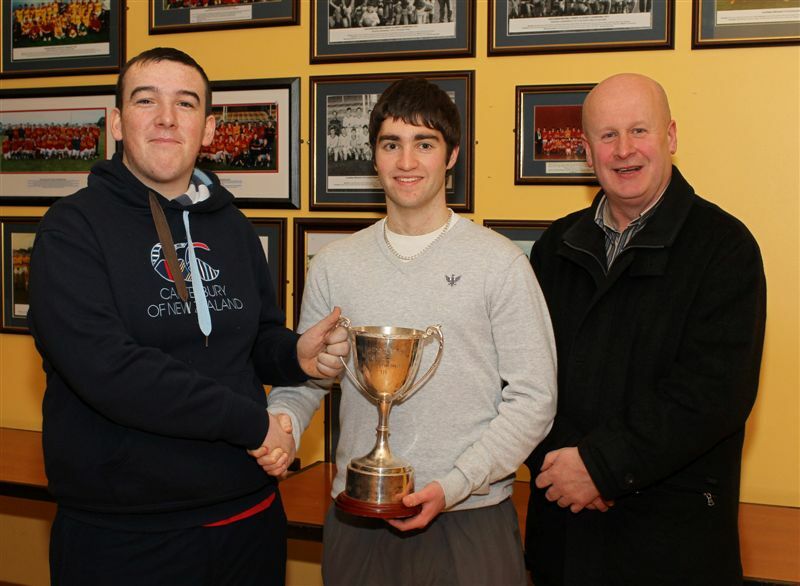 Kevin O'Boyle presenting Alan Gavin the minor cup with Tony Stakelum. 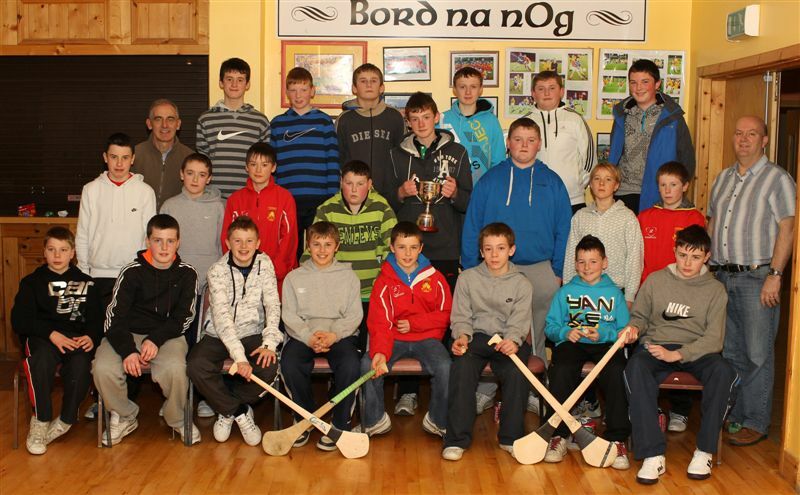 U13 county final winning team with coaches Conal o Domhnaill and John Murray. 1. Presentation to Fr Michael.